Need AIA CE Credit? We’ve Got it! Ideal Shield is an AIA CES Registered Provider offering a HSW (health, safety, and wellness) training course to architects across the country. Qualifying participants will obtain their continuing education credit by attending a Lunch & Learn program in their local area, or by taking the course online. Ideal Shield will provide certificates of completion and report all credit directly to the AIA. Our course, Pedestrian and Facility Safety Guarding, is a comprehensive overview of the different types of safety guarding products available and includes installation options, the most common product finishes, and a variety of product applications. Over the next few months our presenters are traveling to the following locations and would be happy to schedule a lunch and learn presentation at your firm. Request a lunch and learn presentation for your firm. 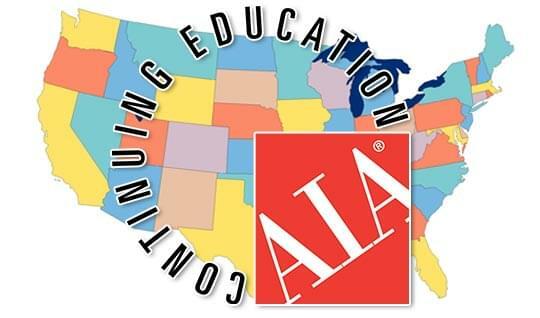 You’ll receive a free lunch, gain a wealth of knowledge, and obtain your AIA CE credit!